Details: Open every sat 10am to 4 pm. Main track and kids/pit bike track. Find them on Facebook for more info. £25 per day. Location: Crown Farm, Eastlands Bank, Walpole St. Andrew, Wisbech, Cambridgeshire. PE14 7LB. Details: It has two tracks, one for little kids that just goes round in a loop and a big track. Not very demanding but excellent for beginners. 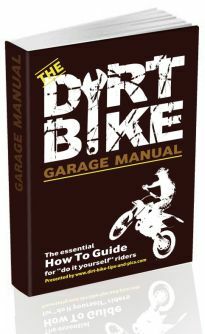 It’s £16 for bikes 85cc and under and £24 for 125cc and over. Call 07774807079 for John or 07780334619 for Andy. Track Type: 600 acres of mud, rivers, bush trails and fun! Details: Go to www.mxmayhemcrew.co.uk for full details. Our track is located in Stockport, Manchester. We accommodate all age groups, enduro, mx, pitbike, quads. We also have bikes, quads and kiddies bikes available to rent. Track Type: Motocross with kids track – just don’t get shot! Location: Tormarton. Get off at Junction 18 from the M4 and head towards Bath on the A46. You’ll find a weigh bridge/picnic area about 300m up on the right hand side. Follow the farm track leading off this to the track. Details: Good tracks to ride including enduro through the woods. Cafe and toilets onsite. Open every day until late. £15 and you can ride all day. No other track like it. Track Type: 3 tracks – Beginners loop, kiddies track and a MX track. 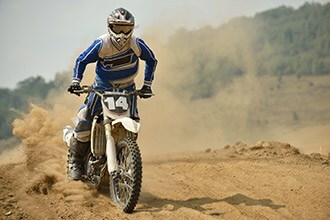 Track Type: MX Practice Track – Suitable for beginners and experts. Big jumps! Description: One mile North from the Sheep Bridge bowling alley on your way back into Newry along the Motorway. This track has 2 table tops, numerous jumps and great corners. This is a dirk track which is well maintained and is currently being improved but still open. Open 5 days a week unless an event is on – £15.00 Stg for a day and it’s best to have your own personal insurance. Yearly membership is available. Must have all protective gear and be a competent rider. Great place to just mess about on your pit bike. Location: First left turning before Newlands corner.